The gastric glands in our stomach secrete hydrochloric acid that is required for efficient digestion of the food.One suffers from Acidity due to excessive production of hydrochloric acid.This excess production leads to discomfort and a burning sensation in the stomach. Diet is an important aspect, whether suffering from any health condition or not. Only when one follows a healthy diet, he/she lives healthy.  The first and foremost thing to do is consume one glass of water after waking up. Water helps to neutralise the acid present in the stomach.  Make sure that you consume at least 8-10 glasses of water everyday or more depending upon your activity in the day.  Consume 5-6 small meals in a day. This helps the stomach to produce acid accordingly, hence leading to easy digestion of food. Have your last meal before 8 pm.  Eat more green leafy vegetables rich in fiber and cooling properties such as spinach, coriander, drumsticks, beans, cabbage, cucumber, carrot and spring onions. 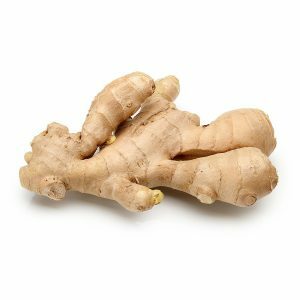  Ginger aids in the process of digestion. Consume Ginger water or add ginger to other food items. the acid in the stomach.  Yogurt has cooling properties. Hence it is one of the most important food item to be included in the diet.  Following a high fibre diet, will not only help in easy digestion but also help maintain weight and improves skin.  Avoid eating junk and unhealthy food items.